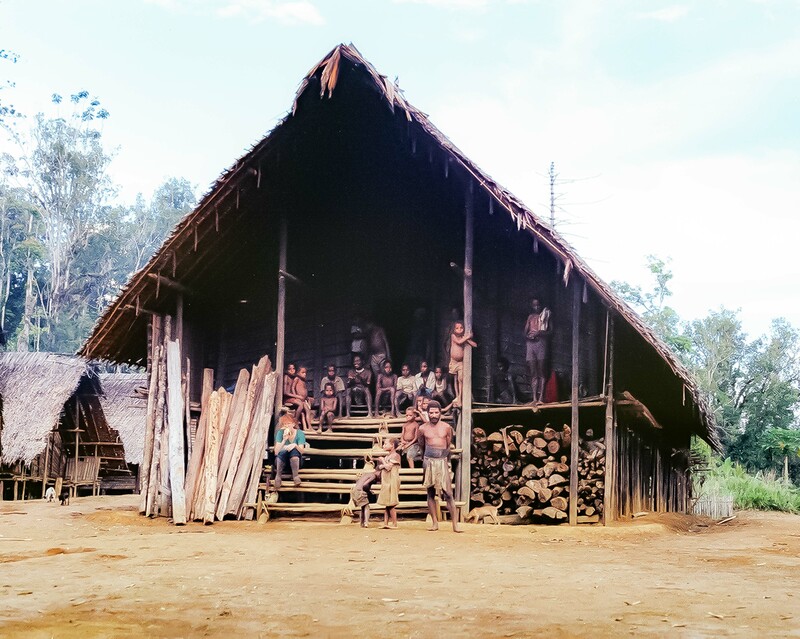 Papua New Guinea, Long Haus, 1983 - This long house was in a village near Lake Kutubu. We had occasion to sleep in such houses from time to time. It was very communal; everyone slept on the spacious floor. It was also very noisy.